Sotirios Voulgaris opened his first jeweler shop in his home village Paramythia, Greece. He then left the mainland for Corfu, Naples and finally Rome in 1881, where he opened his second shop. In 1884 he also founded the Bulgari company for jewelry and luxury goods, as watches, fragrances, accessories, and hotels in Rome, Italy. 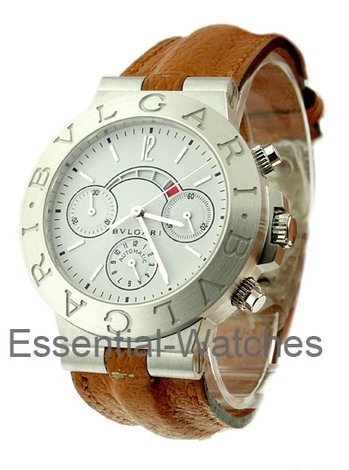 During the 1940’s Bulgari introduced their first Bulgari timepiece, the snake-watch. 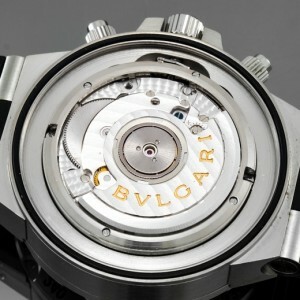 The company’s Swiss subsidiary, Bulgari Haute Horlogerie SA, is responsible for the Bulgari watch production today. It was founded in 1980 and has its headquarter in Neuchâtel. Model: Bulgari Diagono Professional Chrono Amplificator. Reference: CHW40GL/Ampli 18k white gold case, white dial and black leather strap. CHW40GAM 18k white gold case, white dial and brown leather strap. 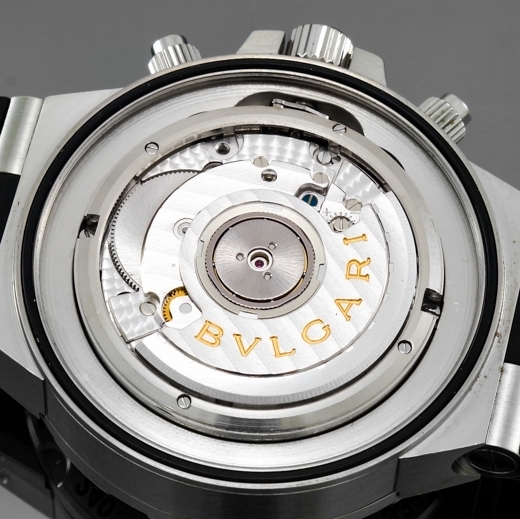 Caliber: automatic ETA 2892-A2 flyback movement with Dubois-Depraz 2027 regatta module. Case size: Ø 40 mm / H 12,8 mm. 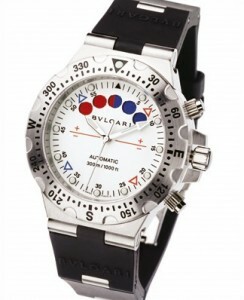 Model: Bulgari Diagono Professional Regatta. 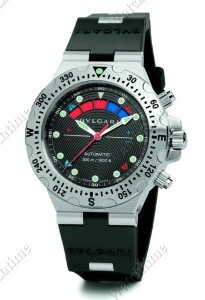 Reference: SD40SV/RE steel case with black rubber strap. SD40S/RE steel case and bracelet. Caliber: automatic ETA 2892-A2 flyback movement with Dubois-Depraz 42028 regatta module. Vieuw to the movement, clearly stamped 42028. Reference: SD40BSV/RE steel case with rubber strap. 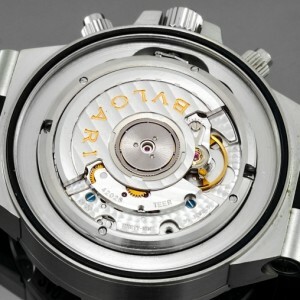 Case size: Ø 41,5 mm / H 13,8 mm.